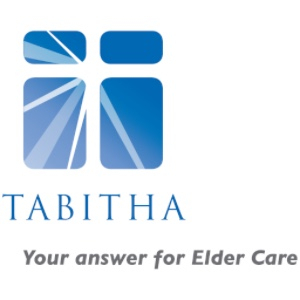 Focused on enhancing the dignity, independence, and well-being of older adults, Tabitha offers compassionate at-home support, innovative living communities, rehabilitation, health care, and hospice services. $6.25 provides one meal to someone in need. $31.25 provides five meals to someone in need. $187.50 provides an entire month of meals to someone in need. Given economic uncertainties, Tabitha continues to experience high demand for Meals on Wheels with a 62 percent increase in the number of meals served during the past 10 years. Last year it served 174,817 meals. Your support for Meals on Wheels is crucial as Tabitha does not put anyone on a waiting list and does not deny anyone a meal because of an inability to pay. With your generous assistance, Tabitha will continue to provide hot, nutritious meals to needy Lincoln residents seven days a week and 365 days a year. Tabitha Meals on Wheels not only brings those we serve a meal, but also provides a much-needed safety check. This was certainly the case for Patricia, an elderly woman at risk for falls. This past year a Tabitha Meals on Wheels volunteer attempted to deliver a meal to Patricia. When she did not answer the door, the volunteer knew something was wrong. The volunteer alerted the Meals on Wheels Coordinator who was able to reach Patricia’s daughter. When she went to check on her mother, she discovered that Patricia had fallen and was laying on the floor unable to get up. The quick actions of Tabitha’s volunteer averted a situation that could have turned deadly.